Beautiful salad to serve with your favorite beef or pork dishes! Toss apples with lemon juice in a large bowl. 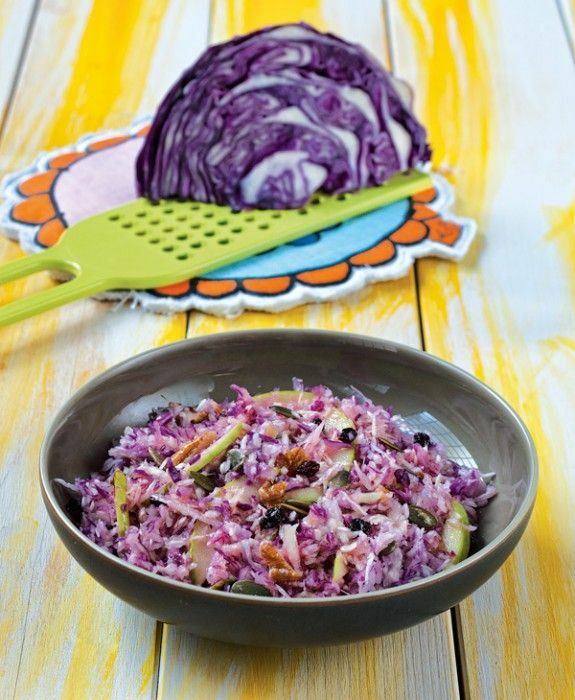 Toss white and red cabbage with salt and a little lemon juice to wilt. In a serving plate toss white and red cabbage with apples and raisins. Whisk all dressing ingredients in small bowl. Season dressing to taste with salt and pepper. Leave in the fridge for 30 minutes. Serve salad sprinkling with pumpkin seeds and walnuts.